A media center isn’t nearly as fun if all your media is mislabeled poorly organized. Read on to learn how to use Ember Media Manager to whip your media into shape and make your collection sparkle. Why Do I Need a Media Manager?Perhaps you’ve never heard of a media manager or if you have you’ve written it off as something for those obsessive types to tinker with. Media managers are invaluable for ensuring that what your media center displays is accurate, custom tuned, and ultimately shows off how awesome your media collection is. So what is a media manager? 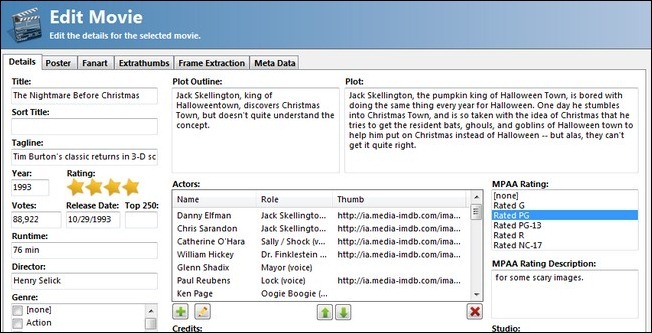 A media manager is simply an application that catalogs your media and writes images and metadata to the directory the media is stored in so that media center applications can access that data in order to display the correct information for the movie (ratings, reviews, cast listings, etc.) and media for the movie (box art, movie posters, fan art, etc.). Why would you want one if your media center already has built in media scraping? Most media centers do have some sort of scraper built in—a scraper is a small script that combs through online databases like the Internet Movie Database to look for media matches. Unfortunately media scrapers range from decent to downright crappy and correcting their mistakes using your HTPC remote or a media center keyboard is tedious. Further more nearly every media center stores the data it scrapes locally. You know what that means? If you turf your media center and have to reinstall, all that data has to be rescraped. Install another media center elsewhere in the house? Time to rescrape again or gamble at exporting and importing the data if your media center software even supports it. Scraping can take hours on a large media collection. On top of waiting for the media collection to scrape you then have to go through and correct the errors all over again. It’s tedious and there’s no reason you should do it. 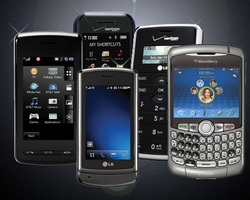 When you use a media manager all that information is stored with the movies and television shows. If you add a new media center to your home network all that media center needs to do is read the data from your media shares and load it instead of grinding away for hours rescraping your media. For the following guide we’ll be using Ember Media Manager, a popular and open-source media management tool. Ember Media Manager was originally created for XBMC media centers but you can modify your settings to scrape data for other popular media center applications. 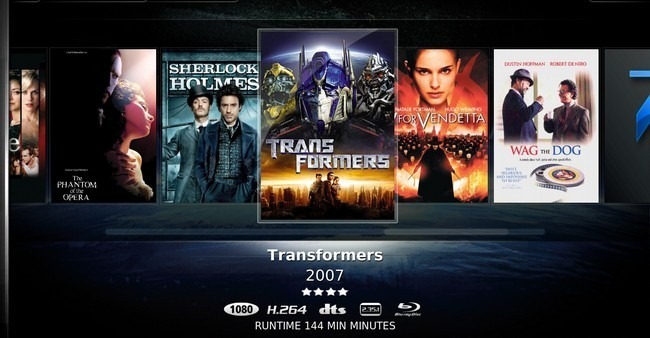 For this tutorial, however, we’ll be using it to configure media for XBMC. Installing and configuring Ember Media Manager (EMM) is a breeze if you know the right settings to key in. In the following screenshots we’ll walk you through configuring EMM for an optimum media center experience. Remember, we’re setting things up for XBMC, you’ll need to tweak the settings to fit how your media center accesses movie information, thumbnails, and fan art. The first thing you want to do is skip the installation assistant tool found on the main Ember Media Manager web site. It’s a small 216kb installer that checks your computer OS version and then downloads the most current version for you. It’s been broken for some time (as official development on Ember Media Manager has been suspended). Instead visit the Ember Media Manager download directory at SourceForge and grab the appropriate version from the current release (1.2 as of this writing). Once you have the appropriate file just extract the contents wherever you want to store Ember Media Manager, open the directory, and run it for the first time. No true installation necessary—you could call it portable, but since it is so intimately tied to your media collection unless you cart it around on your media drive it’s portable in principle only. Language selection aside, the first real prompt you’ll come across is a request for the location of your movie files. 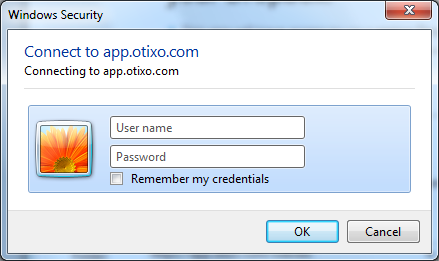 Click on Add button, name your source, enter the source path, and set your source options. Scan Recursively instructs EMM to dig down through folder directories and look for movies in sub-folders. Since we keep all our movies in a simple one-movie-per-folder configuration, we left this unchecked. Only Detect One One Movie From Each Folder is critically important for most of the thumbnail and artwork functionality in XBMC. If you currently have all your movies jumbled in a big folder and not sorted into individual sub-folders we recommend doing a quick cleanup before proceeding. Finally Use Folder Name for Initial Listing should be checked so EMM will use the folder names to pull the movie names before the initial scraping. NOTE: We highly, strongly, passionately recommend you copy a few of your movie directories as a test. We selected a few movies from our collection and put them specifically in a folder labeled /EMM Test/. This way you can get familiar with EMM without risking making sweeping and hard to repair changes to your entire media collection. Once you feel confident with EMM then you can switch the source back to your main media folder. 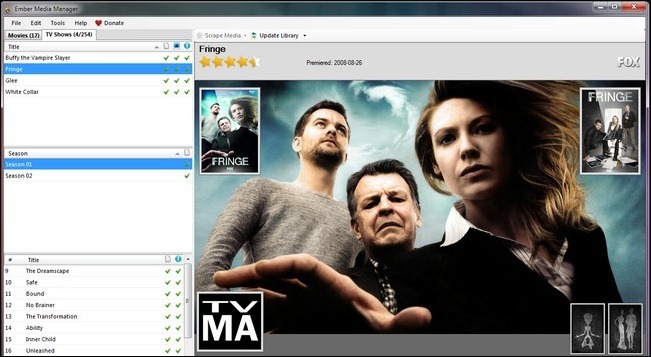 Once you’ve set up a test folder for your movies do the same for your TV shows. Once you’ve set your movie source EMM will prompt you to pick how it should save posters, fan art, and NFO files. If you’re setting things up for XBMC you’ll want to check folder.jpg, movie.tbn, poster.jpg, fanart.jpg, <movie>-fanart.jpg, and <movie>.nfo. Some of these, such as folder.jpg and <movie>.tbn are semi-redundant but they serve a purpose. 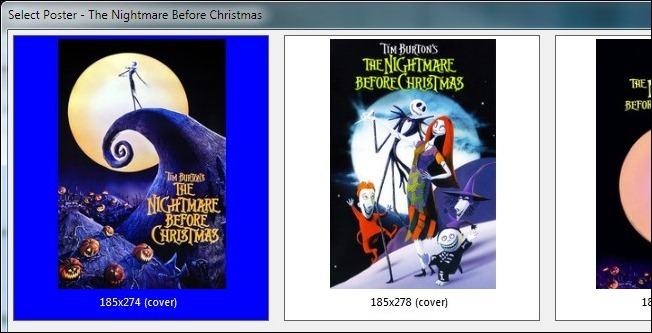 Folder.jpg will put in a thumbnail that both XBMC’s file browser and other file browsers like Windows Explorer will recognize and <movie>.tbn is the default format for movie cover thumbnails within XBMC. Putting them both in makes browsing on multiple systems easier and decreases load times in XBMC. NFO files are simple text files that store media metadata. Ember Media Manager will create a file in each movie folder that has all the scraped movie data. This way, in the future, XBMC will never go looking for it. It will pull your custom data right from the movie directory. Magic! For this round you’ll check folder.jgp, fanart.jpg, season-all.tbn, <ep>.tbn, and then in the seasons section seasonXX.tbn, folder.jpg, and fanart.jpg. If you’re curious about the structure of the XBMC thumbnail system you can check out the full guide to the thumbnail system in the XBMC wiki here. When you’re finished selecting your sources, click Next to finish and launch Ember Media Manager. You’ll see the full interface (which, for a moment will be empty). Down in the lower left corner you’ll see movie and TV show titles whirling by as EMM scans your folders. 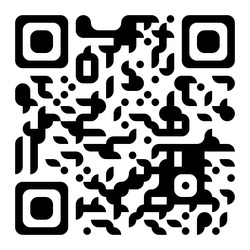 The initial scan is not a scrape. It’s just EMM getting the file names and pulling up any clues it finds in the folder. We had 17 movies, for example, in our test folder and based on what was stored in the folders along with the movie file itself EMM pulled up information ranging from nothing more than the title to fan art, ratings and more. This is entirely dependent on whether or not you’ve scraped the files before with another media manager or if the files you downloaded already had the extras attached. Don’t be surprised if there is no media information what so ever. For a virgin collection or a collection you hand-ripped that’s most likely how you’ll find it. Don’t worry though! By the end of this tutorial you’ll have completely updated and sparkling media collection. At this point you have the application set up, you’ve done an initial scan, and now you need to start filling in the additional information about your media files. Let’s start off by using The Nightmare Before Christmas as an example. It’s sitting in EMM but it has absolutely no data; it’s just a raw movie file. That’s not very interesting and it gives our media center absolutely nothing interesting to load up. Let’s do a single scrape of that individual movie to show you how the process works. You won’t have to individually scrape every movie, mind you! Ember Media Manager does a great job bulk scraping. If you’re new to this business of media organization and scraping, however, we want you to see the process in step-by-step action. 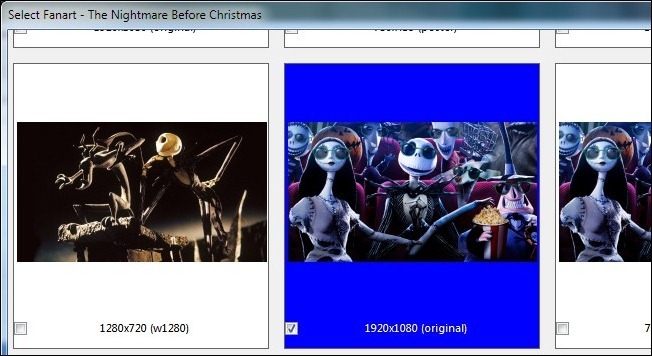 Pick a movie and right click on it, we’ll be using The Nightmare Before Christmas, and select (Re)Scrape Movie. For nearly every movie, save for an odd foreign film or barely-known indie film, EMM should almost instantly kick back a response. It found The Nightmare Before Christmas in a matter of seconds. Select the match and click OK. EMM will scrape for another moment and then show you a display of movie posters. Some movies only have one poster, some have dozens. Pull down the largest image you can, you never know how high-resolution the media centers and HDTVs of tomorrow will be—it’s a tiny bit of future-proofing. After the movie poster selection comes the fan art. “Fan art” as it were, can range in everything from movie stills from popular scenes, promotional wallpaper released by the studio, custom images made by fans, and even completely original fan-generated artwork. Most movies have quite a few images to choose from. If you can’t make up your mind EMM has a caching feature built in. If you check off more than one fan art only the one you select in blue will be the primary fan art, all the others will be locally cached with the movie in the /extrathumbs/ category for easy future access. When you’re done picking out movie posters and fan art, Ember Movie Manager will kick you over to the Edit Movie dashboard for the movie you’re working on. There you can review all the changes it has made including things like the cast list, plot summary, rating, genre tagging, and the poster/fan art/extra thumbs you’ve acquired. The initial movie scrape went so well, let’s scrape everything! Ember Media Manager makes it super easy to scrape your entire collection. Click on the Scrape Media icon located on the menu bar to the right of the Movies tab. A pull down menu will appear. Here in the menu you can select what media you want to scrape. Since we have a new collection with (save for the movie we just scraped!) no movie data, we’re going to scrape all the movies, require EMM to prompt us if it’s confused on a movie match, and to download all items. For the most part EMM does a great job figuring out which movie is which, but it occasionally has a question like whether or not the Transformers movie in question is the 1984 version or the 2007 version. There is one downside to mass scraping. EMM just picks the most popular movie covers and fan art for you. If you’re a customization fanatic you’ll want to manually scrape each movie. We like to strike a compromise; we let EMM do the bulk scrape, then we look through the listings and see if there are any covers or movie posters that we’d like to change. For the most part the default picks are OK with us and allowing EMM to do the heavy lifting saves quite a bit of time. When you’re done with movies, it’s time to do your TV shows. TV shows are done almost exactly the same way with a few minor differences—the process is so similar we’re going to skip with the step-by-step screenshots and just give you a run down of the differences. The TV Shows tab is located right next to the Movies tab in the main interface. You just click on it and browse your TV show listings. The big difference between the Movies and TV Shows interface is that you can’t bulk scrape your TV shows. There are a few extra steps involved in the process for TV Shows such as selecting the language the show is in, grabbing season thumbnails, and then of course the season/episode scraping. As a result you’ll need to right click and (Re)scrape each TV show. You can highlight multiple shows and then select (re)scrape to scrape them all, but you’ll still be prompted when it’s done with each show to make selections for the next show in the list. Scraping for a big show with multiple seasons and hundreds of episodes can take a few minutes—Buffy the Vampire Slayer took a good 10 minutes worth of scraping, for example. Unlike movies where EMM needs to scrape only a few images, TV show scraping involves grabbing multiple seasons worth of cover and fan art, episode summaries, episode screen grabs, and additional information. Thankfully because you’re scraping the data and storing it with your media, you only have to do it once! Just like with the movies if you scrap a TV show and you’re really happy with the results don’t forget to right click and Lock the entry so that it doesn’t accidently get rescraped in the future. If your test of Ember Media Manager’s movie and TV show scraping abilities went well, go ahead and copy over all the folders from your test directory back into their respective media directories. 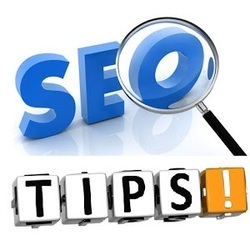 Then go into the menu bar and click Edit –> Settings and in the Files and Sources section under both Movies and TV Shows, change the source location from your test directory to your main directory. It’s an extra step or two we know, but it’s far better to learn the ropes with a powerful tool like EMM in a test directory than it is to make a mess of your entire media directory. Once you’ve changed the source directories you can scan the rest of your media collection to bring everything up to speed and enjoy your gloriously organized collection! All that work isn’t worth much if you can’t enjoy it on your TV. Go fire up XBMC and update your library. XBMC should rescan all your directories and use the locally cached data as it searches for local data before sending the scraper out onto the internet to fill in the gaps. Thanks to your handy work there shouldn’t be any gaps to fill in. 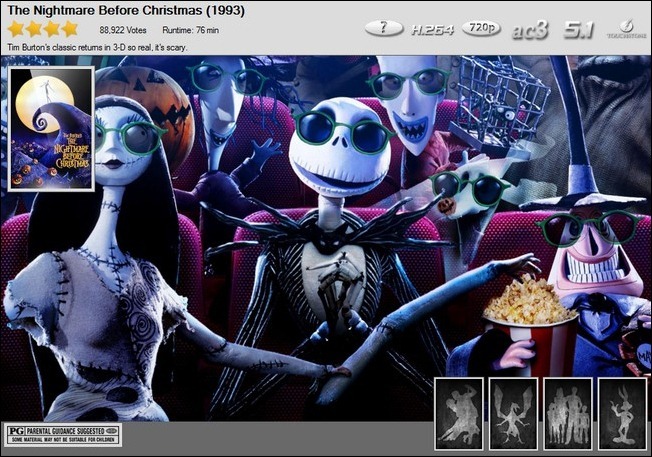 In the above screenshot we see the listing for The Nightmare Before Christmas as seen in XBMC’s default skin (Confluence) under the Media Info view. All the information we saw in Ember Media Manager and the great fan art is present. 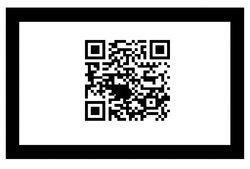 If you click the menu button you can view the additional information such as the cast listing. In the screenshot here we see all the seasons of Buffy the Vampire Slayer laid out in Poster Wrap view. We can drill down into the individual seasons for more information and screen captures. 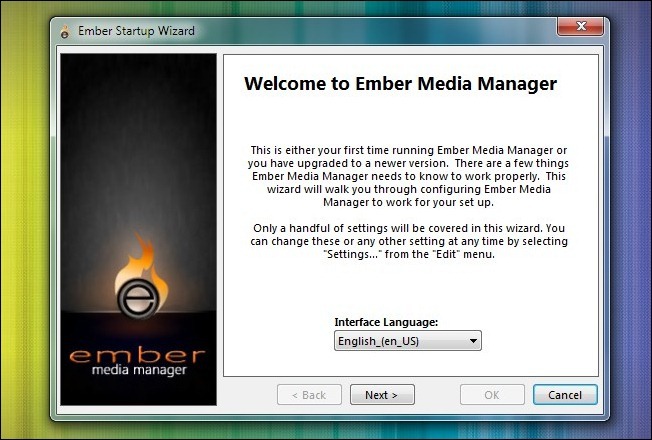 Again, all the information that we carefully scraped and checked in Ember Media Manager is present in XBMC. Every television episode has a screen cap, a summary, and additional information like the type of encoding, display ratio, and more. I remember when I was about to take the exam to receive my MCSE Business Intelligence Certificate, I was reflecting of what it took to get to this point. (also with an average annual salary of $101,695 holding this certificate.I was already spending my first years salary in my mind,lol) I went on to think about the future benefits of doing this.Certification .The number of job postings in the cloud computing industry is growing so rapidly that there aren't enough qualified workers available to fill the positions.So, I thought: Get certified and be part of the solution. 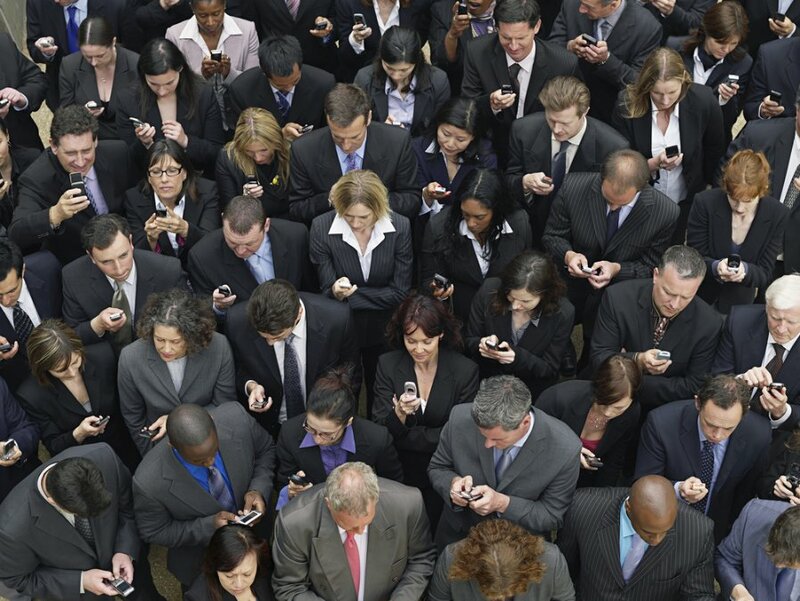 In a survey of 700 IT networking professionals, 60 percent said certification led to a new job. (Network World and SolarWinds, IT Networking Study, October 2011). So with all that in mind, it was easy to trudge forward with the exam. Afterward I had no need to wait on my results as I was sure I had passed . 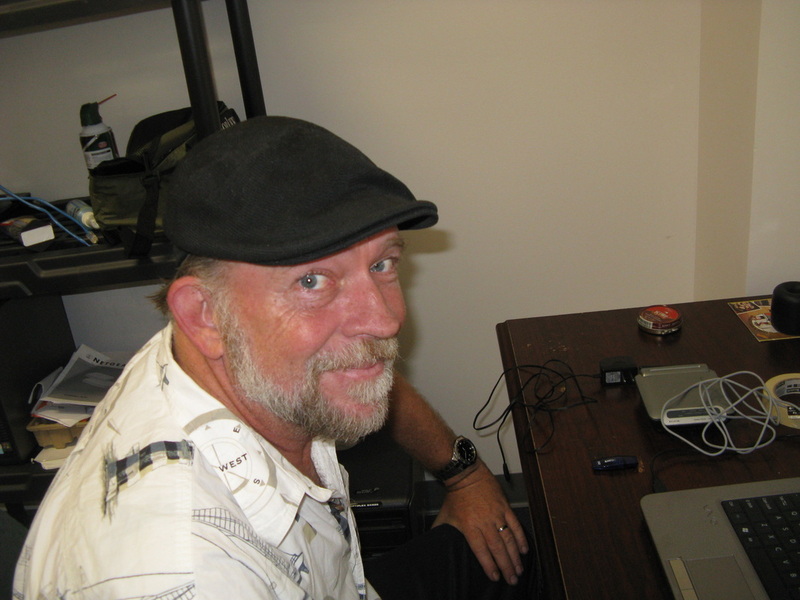 I then within three weeks had my first good job working with Google building server farms. 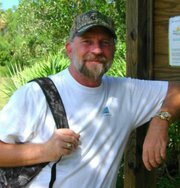 An exciting job that had direct benefits and satisfaction knowing so many people knowingly and unknowingly relied on my skills. who would have thought that it took so much work to make things look so easy !!! Exam 70-463 : Implementing a Data Warehouse with Microsoft SQL Server 2012 just so I could take the exam to get my MCSE Business Intelligence Certificate, and the fun I had,people I met and the sleepless nights studying,I realized how important certifications are.